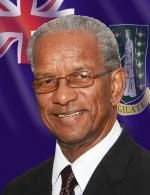 ROAD TOWN, Tortola, VI- Premier Dr the Honourable D. Orlando Smith says the Virgin Islands empathises with the United States following a battering from Hurricane Sandy last week and which has claimed many lives and left lots of damage in its wake. Speaking at the BVI Tourist Board’s annual tourism industry meeting at the Eileene L. Parsons Auditorium, H. Lavity Stoutt Community College (HLSCC) in Paraquita Bay on November 1, 2012, Hon. Smith used the opportunity to empathise with the United States Government and its people who have been affected by the many dislocations caused by the passage of Hurricane Sandy earlier in the week. “Indeed they are facing the difficult challenge of recovery, which we in this Territory can identify with, being no strangers to hurricanes and storms. Premier Smith also said he was concerned about those United States based Virgin Islanders who may have been affected by the storm and was trying to find out how they may have been affected and whether they would need any help. “Our hearts also go out to the Virgins Islands diaspora living in New York and other northeastern states. We have asked the New York Office of the BVI Tourist Board to inquire about how this disaster has affected our people and whether they would require any form of assistance. The LA Times is reporting that the number of lives lost and families shattered from Hurricane Sandy continued to climb Saturday November 3, 2012, with the death toll now at more than 110. The number of lives claimed in New York from the super storm was reduced by one to 48, after medical examiners determined two deaths initially linked to the storm were not, and another body was found during the recovery effort. Hardest-hit parts of the state are still buried in rubble and tunnels in metropolitan New York still flooded, leaving officials to wearily expect that the number could keep climbing. 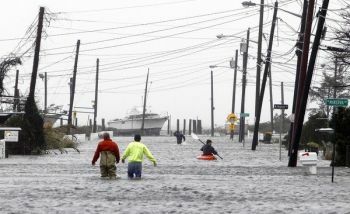 In New Jersey, some communities remain under evacuation. State police said Saturday night they had confirmed 24 deaths linked to the storm. The Pennsylvania governor’s office confirmed 14 fatalities there, several from falling trees and carbon monoxide poisoning. Two people died in fires and an 8-year-old child from a falling tree. In Connecticut, a firefighter responding to a blaze was killed when a tree fell on his truck. One of the first fatalities reported was in Maryland, from a car accident. Eleven people have lost their lives in that state because of Sandy. Storm-related deaths have been reported in at least nine states, with causes including hypothermia and car crashes amid last week's blinding snow and excessive wind. thanks for keeping an eye on this one and our people chief! please QC Too little too late we should have heard from Doc the day after he should have jumped on this a long time ago not five days later!!! Mother Nature is something else!!! let's thank GOD it wasn't worst.